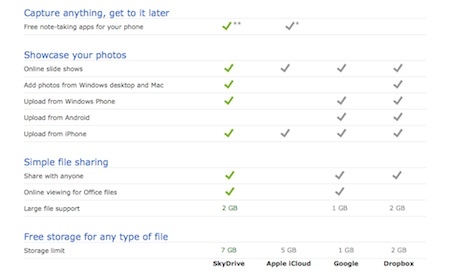 The free Cloud storage providers has been increased by one today with the Microsoft SkyDrive. The news wasn’t a surprise to us, we have been following SkyDrive for a while, but we were excited to see the iPad app get upgraded to 2.0! All of Microsoft’s Cloud storage competitors offer similar services but each have their own unique features that makes them special to different users. In our office, we have SkyDrive fans, DropBox, Box.net and iCloud fans too. It’s a matter of finding what is important to how you need to stores and access your files. 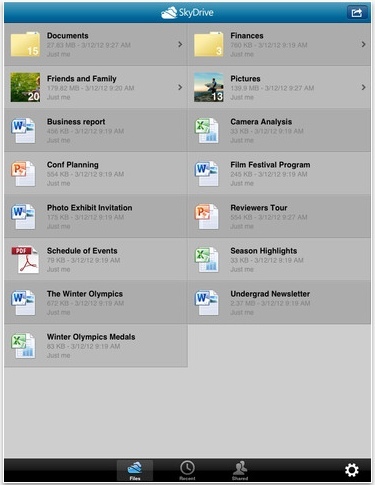 For the SkyDrive 2.0 free iPad app, full access to your files is made pretty easy with a UI that makes sense. Microsoft allows you to store just about (have not found a file type it hasn’t accepted) file format type in your free 7 gigs of space. Images upload very quickly, and sharing is easy. 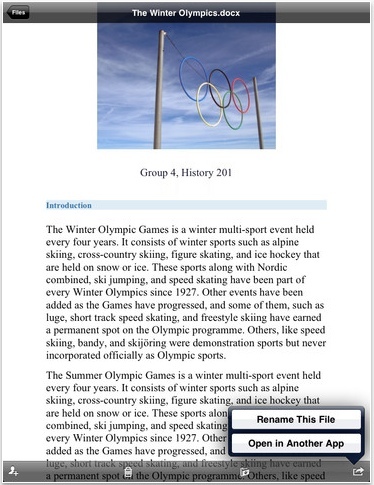 ‘Open-In’ is also supported to you can select a file and open with your favorite iPad app like a reader or text editor. 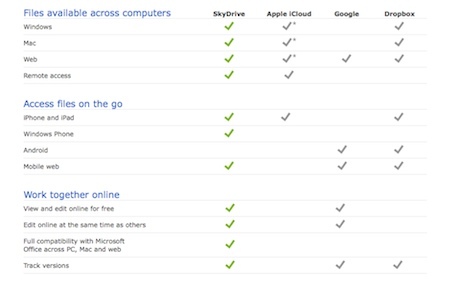 Of course, like any Cloud service, you need to sign up for a free SkyDrive account over on Microsoft’s Cloud page. Below if a quick grab of the comparison chart to see if what you need is provided.